Nostalgia’s a funny thing. At times, people actively seek it, hoping to return if only briefly to yesteryear and swaddle themselves in the sense memories of their old days. At times they actively avoid it, or simply act oblivious to it, and yet wander into its embrace all the same. The nostalgic tug toward past favorites is so strong that sometimes, we give in to it without realizing our own nostalgia. 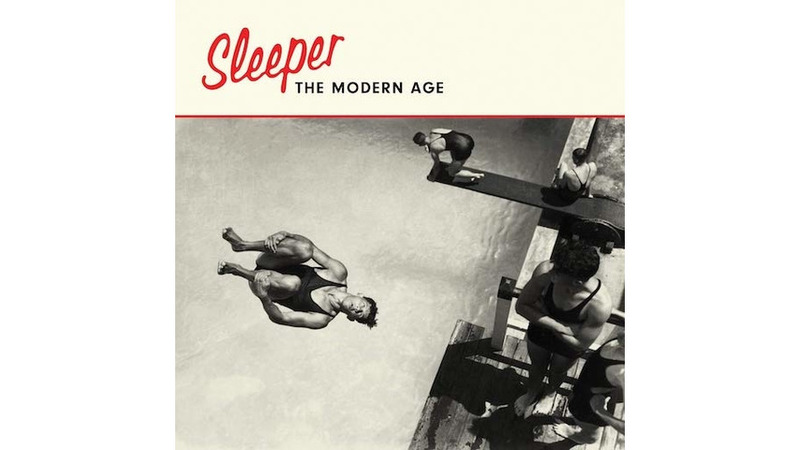 That’s the experience of listening to The Modern Age, a decidedly retro album from Britpop band Sleeper, their first after 22 years of radio silence following their 1998 split. It’s the late 2010s. Everything old is new again. Bands ranging from Jump, Little Children to Art Brut have all dropped fresh music after years-long breaks. So Sleeper’s just getting in on everyone else’s action, really, literally getting the band back together to churn out new tracks and bring their sound from the ‘90s to 2019. Frankly, their reunion is welcome. What The Modern Age lacks in durability and ingenuity it makes up for with a fistful of ear worms that burrow straight into the audience’s brain center. The record’s incredibly listenable. Grant that “listenable,” as “drinkable” to craft beer, is about as harmless a way to praise a record for meeting baseline expectations for what a record should be, because what’s an album if it isn’t worth listening to? But The Modern Age both reminds of an era in music history and also of what made Sleeper so successful and so popular to begin with, thanks chiefly to The It Girl: Infectious, groove-worthy tunes to bop along with, buttressed by sharp lyrics that cut through the music’s breezy quality. At its very best, The Modern Age feels light and airy at first blush but cutting and even bitter the further one dives into its songs’ various meanings. Take “More Than I Do,” the penultimate track, a pleasantly muted number orbiting the prickly subject of divorce. Even a separation that goes off without a hitch, and where the involved parties manage to stay cordial with one another, has its barbed moments, and frontwoman Louise Wener has a real knack for not only finding them but making them bleed. “No, I don’t wish you pain / and I don’t wish you damage,” she sings in earnest, expressing her hope that the other party fucks up more than she does in the aftermath of their parting. It’s like a shiv straight to the gut, especially coming from a tune this lovely to behold, a story in two acts to take Wener’s fans off-guard. The Modern Age’s other edges are no less honed, but at least their imprecations and judgments are aimed inward. (In fairness, it is possible that “More Than I Do” is as much meant as a curse spoken to another as an indictment of Wener’s feelings towards them.) “Look at You Now,” for example, reads as introspective, a song directed at musical acts too long in the tooth to justify sticking around. “You’re running out of things to wear / Still playing all your hits, all the hits, all the hits / But that won’t take you anywhere,” she calls out in the chorus, though who she’s calling out probably varies depending on mood: Maybe she’s talking about Sleeper, or other bands brought back up from the ashes of obscurity by their own hard work and popular support, or maybe she’s talking politics. The anger she addresses in her lyrics is woven into the song’s DNA, such that it hardly matters what your politics are; the song is probably about you. But this isn’t an album washed in doom, gloom, and bad attitudes. For the most part, it’s remarkably upbeat, often cheery, or at least that’s the feeling Wener mean to convey; “The Sun Also Rises,” “Paradise Waiting,” and “Car into the Sea,” among others, are just as likely to inspire spontaneous dance as they are deep thought, but the former’s effect is stronger than the latter’s. The Modern Age is a record to get down to. Most of all it’s a terrific comeback for a band that rose to fame and flamed out much too quickly.